Enjoy the holiday parties with bells on! 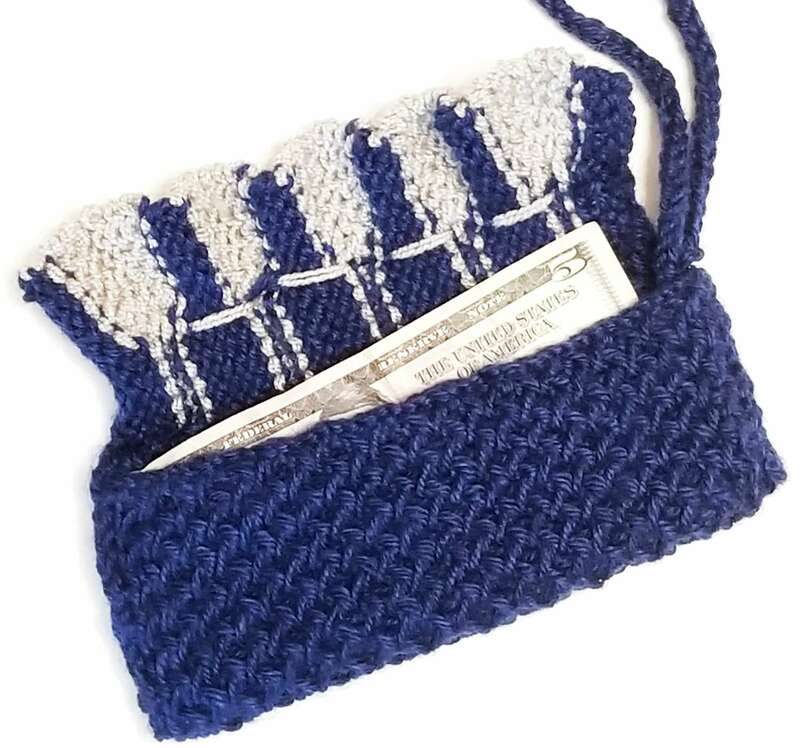 This small clutch is just big enough for money, cards, and lipstick. It is always handy hanging on your wrist. 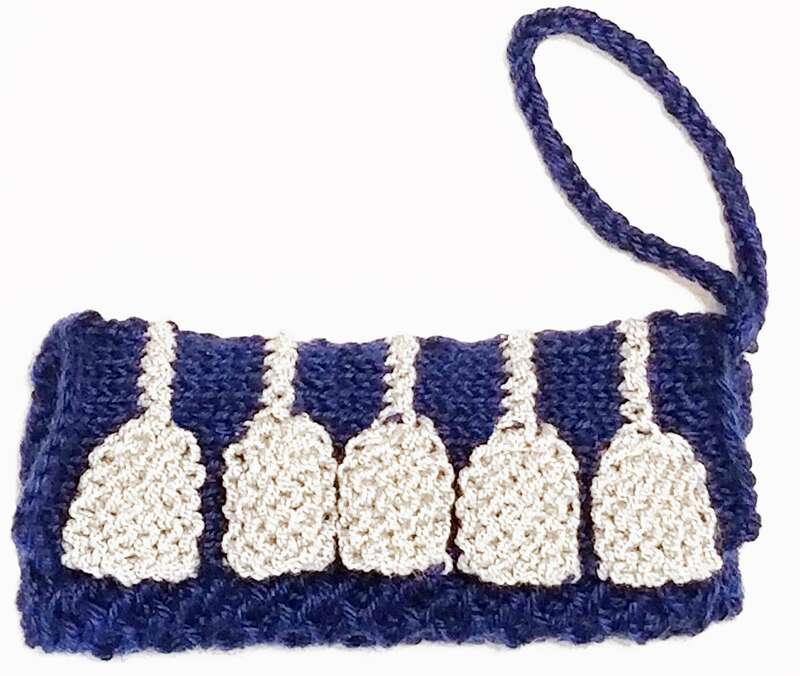 Using both single and double knitting, this small purse can be created very quickly and makes a great gift as well. 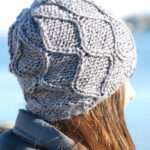 Use 1 strand of the 4/worsted weight yarn. Use 2 strands held together as 1 of the 2/fine weight yarn. Do not cut the yarn when changing between colors. Drop the yarn not being used and pick it up when needed again. 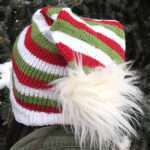 When changing colors in the middle of the row, twist the 2 yarns around each other once to prevent holes in the work. Closure Flap is worked sideways. 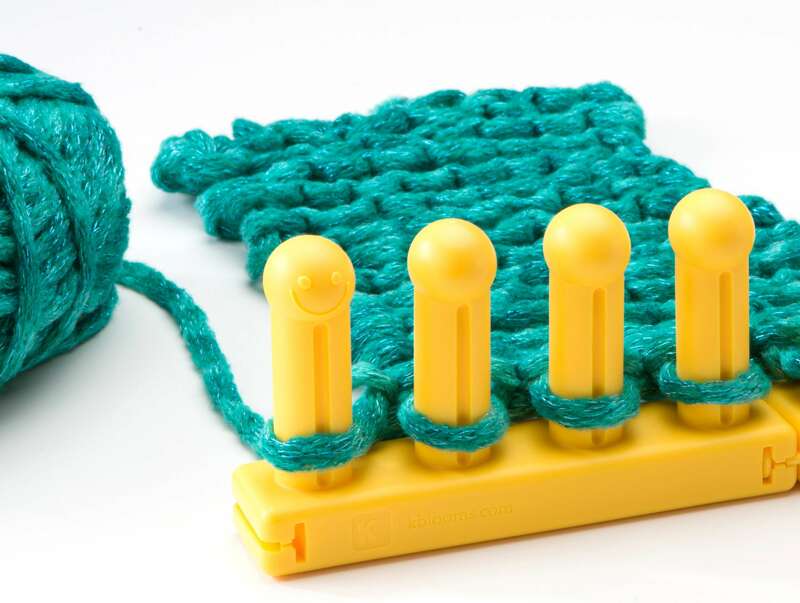 Using CA, CO 12 pegs in single knit. Work a 2 peg i-cord for approximately 10”. Fold the Purse part in half bring the CO and BO edges together. Seam the top of the Closure Flap to the back of the Purse. Fold the Wrist Strap in half and sew the ends on the inside of the top corner of the Purse. Add snaps to the inside of the Closure Flap if desired.